TL:DR version when we transferred our domain to NameCheap during the GoDaddy SOPA boycott NameCheap has silently changed our domain's main contact email to "[email protected]" (wtf? 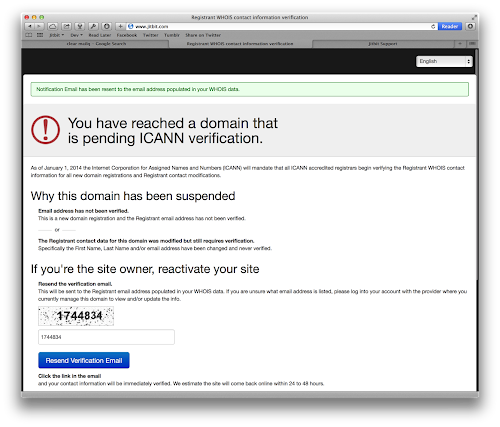 ), so we were not getting verification emails from ICANN, so ICANN has blocked our domain. Watch out. Today our domain name ("jitbit.com") went down for nearly 30 minutes. Our website and all our hosted apps, including the hosted version of our help desk ticketing system were inaccessible (our hosted customers access the app using "xxxxx.jitbit.com" URLs). Here's what happened. Remember the GoDaddy SOPA boycott a couple of years ago? 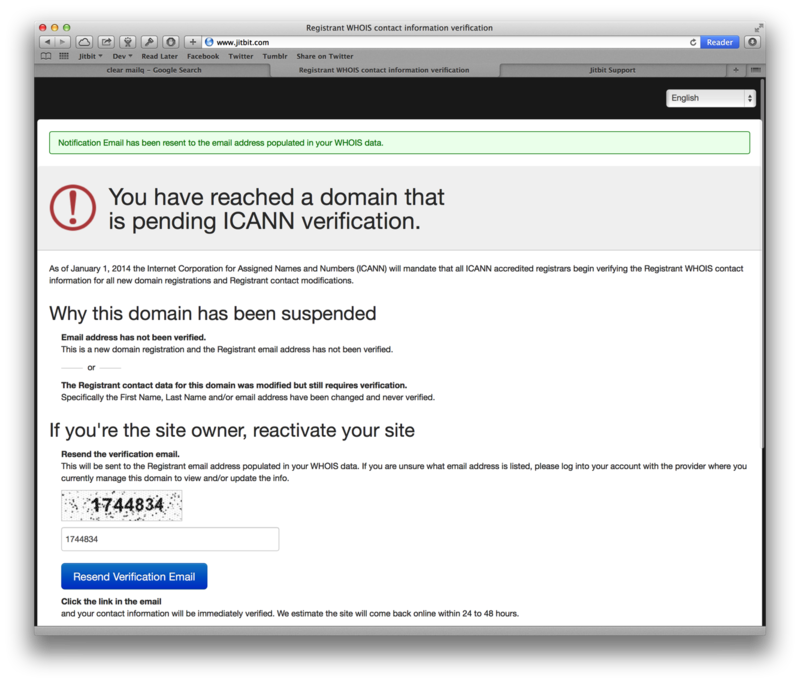 When thousands of webmasters decided to move their domains away from GoDaddy to protest against their SOPA support? We moved away as well, transferring our domains to NameCheap. Somehow during the transfer the domain's contact info has changed to NameCheap's address without our knowledge. And I haven't noticed this, even when I was recently adjusting the domain's contact info (our new office address). As you may know, as of January 2014 ICANN requires email verification upon editing your info. There's a verification email being sent to domain's email-address when you submit your changes. Guess what - I slightly edited the contact info and the verification email went to "[email protected]"! I was just having a nice walk with my wife and kids when my cofounder called: "dude look at our effing website right effing now, wtf!? I have to mention, NameCheap live chat support was pretty nice and helpful resolving this. They were unable to explain why the contact info about our domain has changed without our knowledge though. I know at least 4 people who have the same problem - primary contact email pointing to "[email protected]", so watch out. If you have transferred your domain 2 years ago - go to your registrar's control panel and make sure that the contact emails for the transferred domains have proper contact emails, not "[email protected]" or other nonsense.